Copyright, 1896, by Spaulding & Gray. 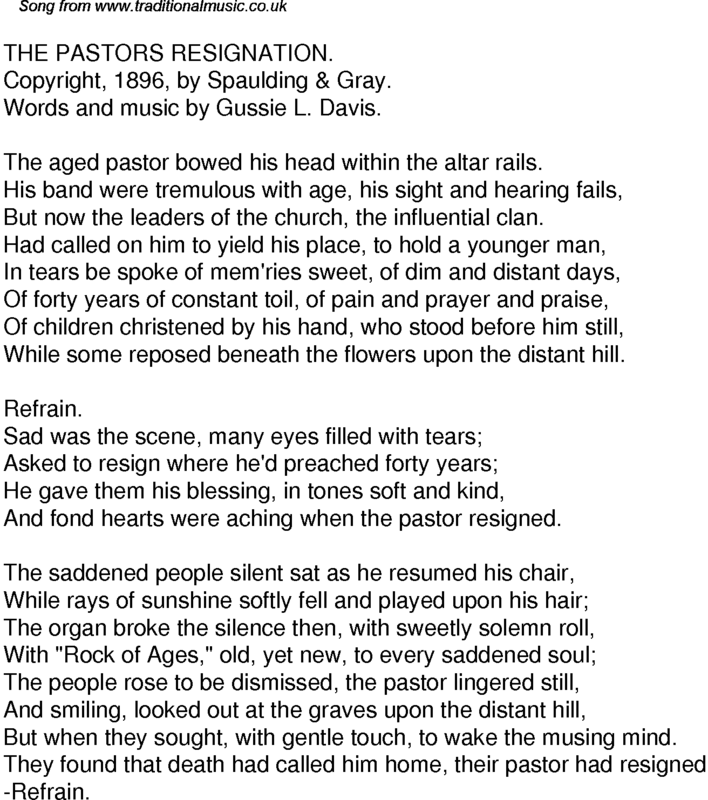 Words and music by Gussie L. Davis. The aged pastor bowed his head within the altar rails. But now the leaders of the church, the influential clan. While some reposed beneath the flowers upon the distant hill. And fond hearts were aching when the pastor resigned. But when they sought, with gentle touch, to wake the musing mind.